We were alone, the tiger and I. It seemed to me that its green phosphorescent eye was a lamp that illuminated not only the clearing, but also the infinite depths of my soul. This volume, the fourth of a series of twelve dedicated to Magre’s works, offers the novella The Story of Confucius and the novel The Mystery of the Tiger (both 1927). The former is a clever exercise in deadly serious comedy, which details the rise and fall of the famous Chinese philosopher. In the latter, an obsessed zoo-keeper and animal tamer goes into the Indonesian jungle to experience a mystic transformation that highlights the relationship between humans and animals, and between humans and their own animality. 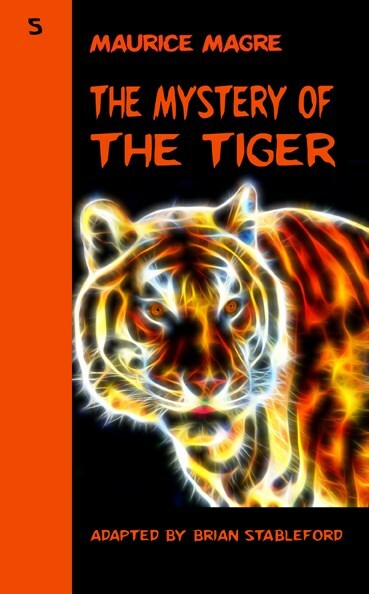 The Mystery of the Tiger offers one of the most obvious examples of Magre’s stubborn defiance of convention. As its protagonist gradually slides from unrepentant unpleasantness into a kind of remorseful divine madness, it shows itself for the truly remarkable work it is.